Contrary to popular belief, pineapples, which came to be known as such because of their resemblance to pinecones, did not originate in Hawaii. Christopher Columbus brought pineapples back to Europe after one of his expeditions to South America. Pineapple, Ananas comosus, belongs to the Bromeliaceae family, from which one of its most important health-promoting compounds, the enzyme bromelain, was named. One cup of fresh pineapple chunks contain approximately 82 calories, 0 grams of fat, 0 grams of cholesterol, 2 milligrams of sodium, 22 grams of total carbohydrate (including 16 grams of sugar and 2.3 grams of fiber) and 1 gram of protein.One cup of fresh pineapple chunks provides 131% of your vitamin C needs for the day, 2% of vitamin A needs, 2% of calcium and 2% of iron. Pineapple is also a source of important vitamins and minerals such as thiamin, riboflavin, vitamin B-6, folate, pantothenic acid, magnesium, manganese and potassium and antioxidants and polyphenols, such as beta-carotene. A single serving of pineapple has more than 130% of the daily requirement of vitamin-C for human beings, making it one of the richest and most delicious sources of ascorbic acid. Vitamin C is mainly associated with reducing illness and boosting the immune system by stimulating the activity of white blood cells and acting as an antioxidant to defend against the harmful effects of free radicals. Free radicals are dangerous byproducts of cellular metabolism that can damage various organ systems and disrupt function, as well as cause healthy cells to mutate into cancerous ones. The vitamin C content of pineapples defends against this. One of the commonly overlooked benefits of vitamin C is its essential role in creating collagen. This is partly the reason why it is seen as a healing vitamin, because collagen is the essential protein base of blood vessel walls, skin, organs, and bones. High vitamin C content helps you heal wounds and injuries to the body quickly, along with defending against infections and illness. In addition to the antioxidant potential of vitamin C in the battle against cancer, pineapples are also rich in various other antioxidants, including vitamin A, beta carotene, bromelain, various flavonoid compounds, and high levels of manganese, which is an important co-factor of superoxide dismutase, an extremely potent free radical scavenger that has been associated with a number of different cancers. 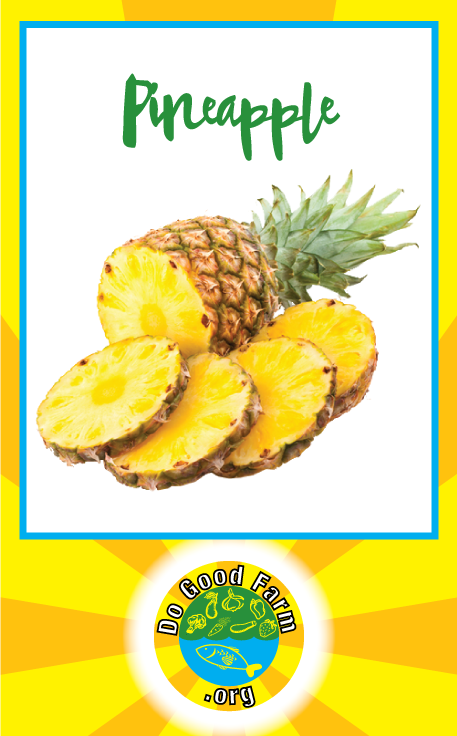 Pineapple has directly been related to preventing cancers of the mouth, throat, and breast. Like most fruits, pineapples are a rich source of fiber, but they are special in that they contain both soluble and insoluble fiber. This means that eating a healthy amount of pineapples can protect you from a vast amount of health conditions, including constipation, diarrhea, irritable bowel syndrome, atherosclerosis and blood clotting, as well as blood pressure. Fiber can bulk up stool, which promotes the passage of food through the digestive tract at a normal rate, and also stimulates the release of gastric and digestive juices to help food dissolve. Furthermore, it bulks up loose stool, which helps with diarrhea and IBS. Fiber also strips the blood vessels clean of excess cholesterol and eliminates it from the body, thereby boosting cardiovascular health. The normal immune system boosting power of vitamin C is well known, but that special enzyme, bromelain, is also connected with the reduction of phlegm and mucus build up in the respiratory tracts and sinus cavities. It therefore prevents the illnesses that cause phlegm and mucus build-up, while also treating them by loosening those materials and helping you eliminate them from your body if you’ve already contracted an illness or infection.